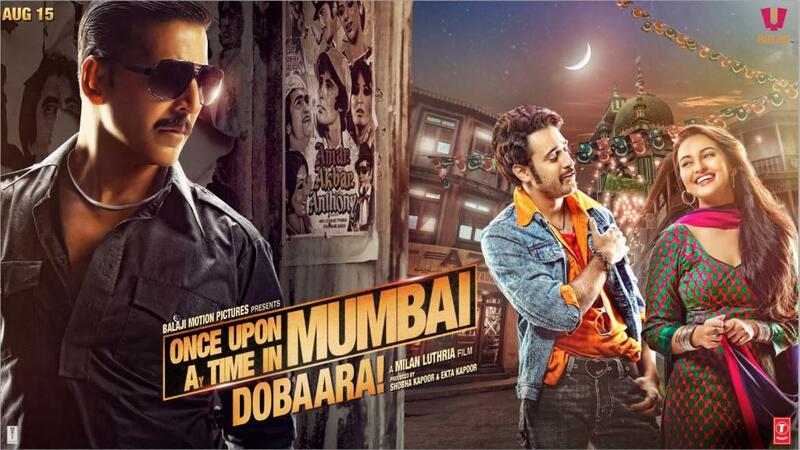 Sequel fever is still raging on, this time Akshay Kumar steps into Shoaib’s shoes for Once Upon Ay Time in Mumbaai Dobaara, with Imran Khan and Sonakshi Sinha joining Milan Thuria’s gangster drama. Pritam is back with this new album and he has already captured the airwaves with the melodious ‘Yeh Tune Kya Kiya’ and the remake of ‘Tayyab Ali’ from Amar Akbar Anthony which has not produced too much vitriol just yet. The album is quite good and sticks to the elements that made the previous album a raging success: kitsch and qawallis! The standout of the album is Yeh Tune Kya Kiya , which would seem to conjure up more lamenting and accusatory lyrics, but this one is a dreamy qawalli that tweaks this expression around. Listeners may bristle at Javed Bashir blunt and raw vocals, but it’s that quality that makes Rajat Arora’s lyrics stay with you and make you wonder if the title really means a lament or romantic number. Bashir’s voice is fabulous, as is the chorus that accompanies him and drives home that addictive chorus. The arrangements are brilliant, special mention to the wicked use of the goblet drum during the latter verses, but the tablas and harmonium work together so well in making that, “Main dil ka raaz kehta hoon, Ke jab jab saansein leta hoon, Tera hi naam leta hoon,” at the tip of your tongue. The song is a gem and has already reached my most-played list as it will on yours! I don’t like to be a remake curmudgeon, but Tayyab Ali, is quite bland and rubbish. This is especially rich coming from someone who didn’t mind the ‘Dum Maaro Dum’ song or adores kitsch. But this remake arranged by Anumpam Amod is thankfully respectful to the original spirit and melody, but albeit too safe and doesn’t experiment much with the template. It’s understandable that music directors like revisiting old classic songs, but when it’s just a plain recreation of the song without the élan or mischievous fun, then it’s just flat and plain unnecessary. The arrangements are fine, and Javed Ali seems a tad unsuited to this song, since he doesn’t convey any of that peppiness or fun that it requires. Skip this one! Another kitschy gem is, Tu Hi Khwahish, with Sunidhi Chauhan in her comfort zone as our resident cabaret singer. The arrangements are what make this song, from the Burman-esque “hooo haahh” chorus, to the big band sound of the trumpets and twangy guitars, it’s a treat and gets you channeling your inner Padma Khanna! The tune is a breeze for Chauhan, who takes a straightforward track and adds her attitude and sass, which suits the music around her. The interludes are equally entertaining with the integration of the theme tune, and all of those synths and disco beats give it that extra edge in conjuring that 80s sound in mixing between the cabaret and disco. Give this one a go! 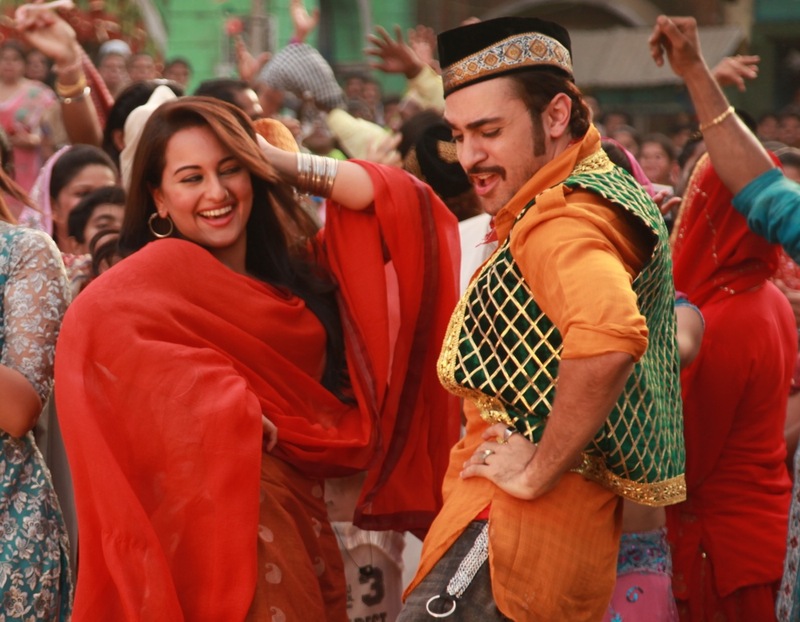 The last track, Chugliyaan, is where Javed Ali fares better with a romantic song that suits his honeyed and assured voice. The lyrics by Rajat Aroraa are quite cheeseball, but some of the variations are quite good in conveying the chugliyaan of the central lover. The arrangements are simple with the dholak and strings catering to Ali and the male chorus who echo the melodious verses. This is a good gem to end the album, so try it out! 15 queries in 1.070 seconds.